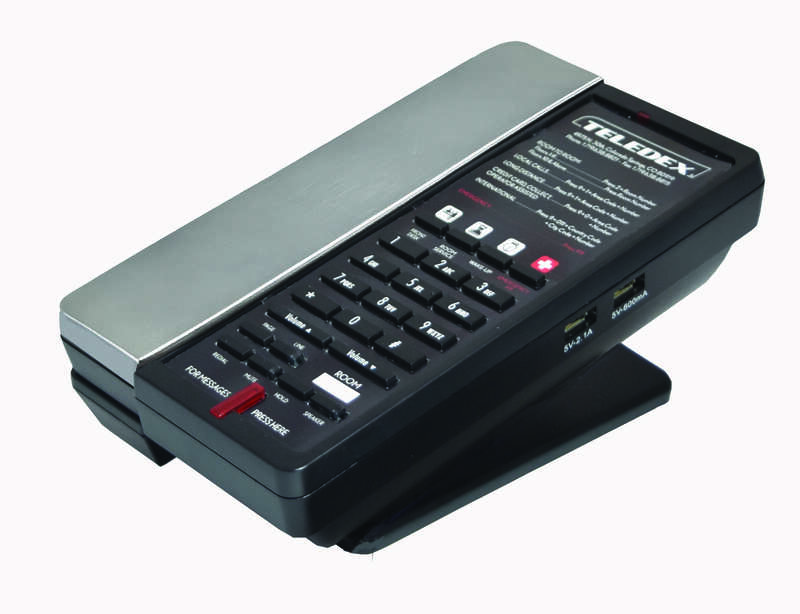 Teledex E Series. Now available in Silver Metallic. 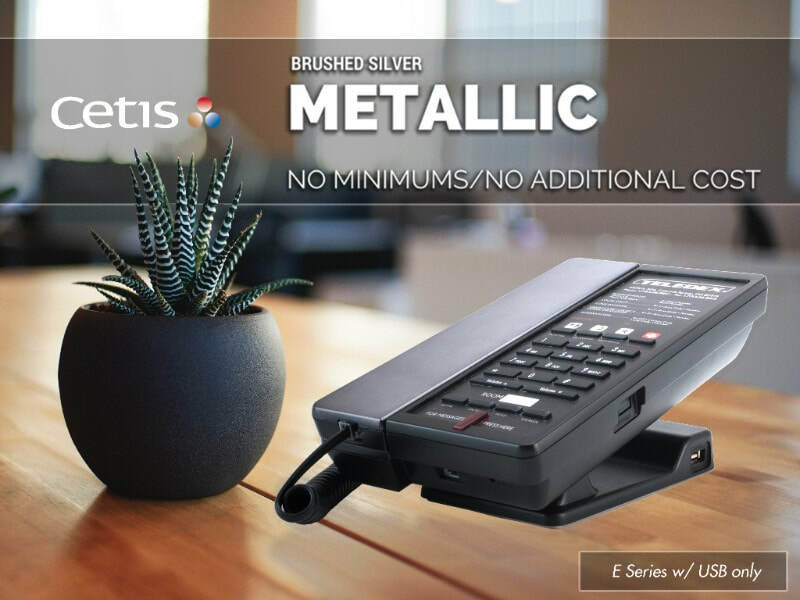 Add some bling throughout your properties with Teledex E Series Brushed Silver Metallic Edition phones. 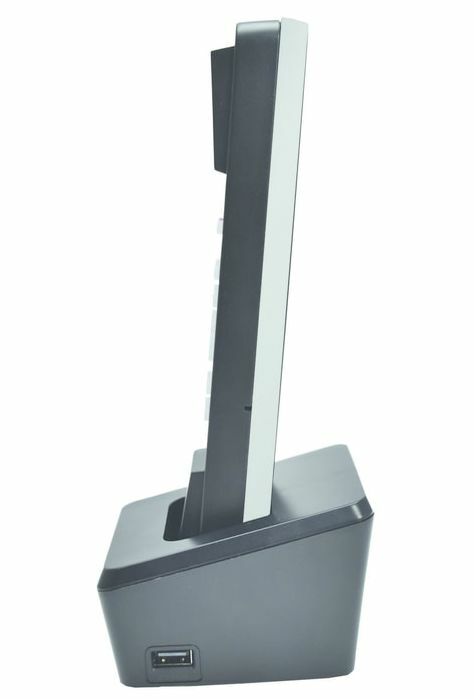 Available at no additional cost and without minimum quantity requirements, E Series desk phones and RediDock silver remote cordless handsets are designed to match the color and textures of contemporary smart devices and fixtures in your guest rooms. Choose single or 2-line analog, VoIP, corded, or cordless configurations with or without built-in USB charging ports, Click here to request a quotation for your next property renovation or new construction project. 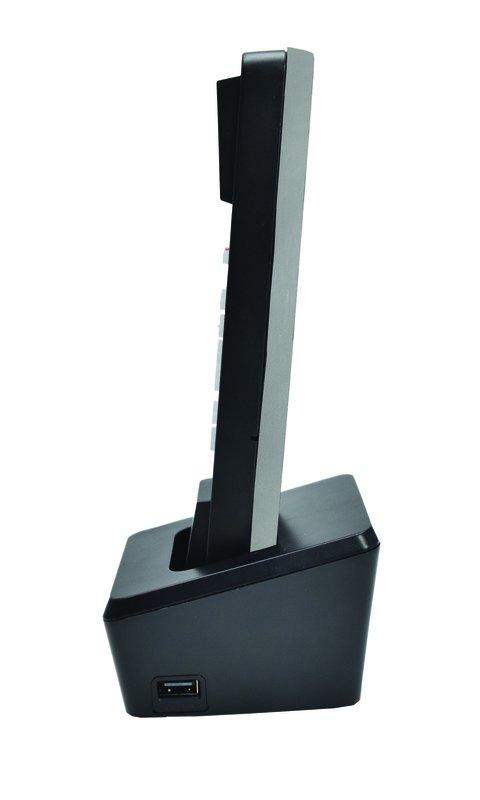 Teledex E Series brushed silver metallic RediDock remote cordless handset and charging station with built-in USB charging ports.